This JoWo #6 nib has been custom ground to a broad cursive italic. It is compatible with any pen that accepts a standard JoWo #6 screw-in nib unit. The nib is two tone steel. These upgraded nib units are reserved for our Ranga and PSP pens, we will not be selling the nibs individually. 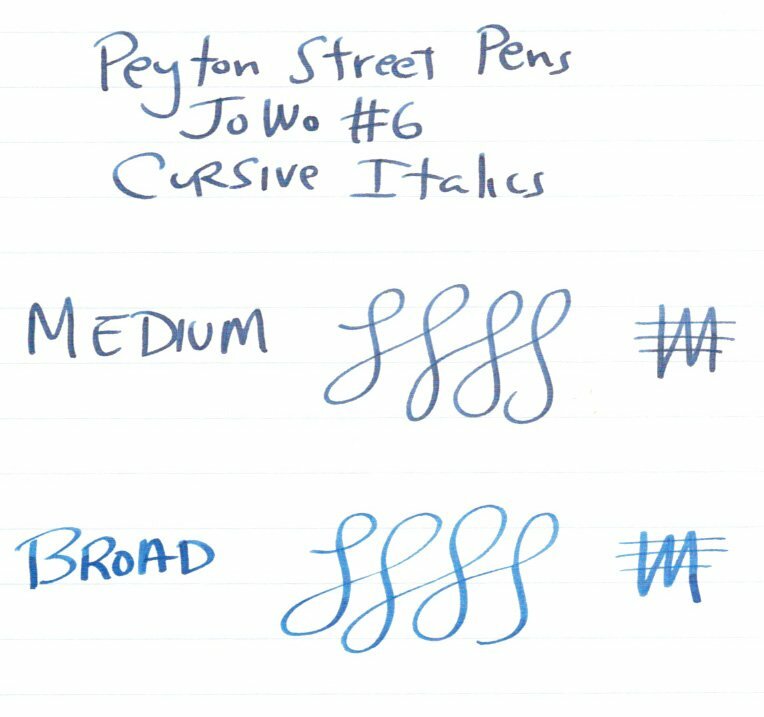 If you'd like to order a pen and have this nib installed, please purchase the pen and select the "No Nib or Converter" option, and then select one of our JoWo #6 compatible nib units. We will install it in the pen you select and include a converter. Type This nib has been configured with a JoWo #6 housing and is compatible with any pen that accepts a standard JoWo #6 screw-in nib unit. Nib BROAD CURSIVE ITALIC .... this is a JoWo #6 two-tone steel nib ground here at PSP to be a cursive italic. Condition Brand new, never used. We adjust the nib for smoothness.